The 50 State Quarters Program, enacted December 1, 1997 was the release of a series of circulating commemorative coins by the United States Mint. From 1999 through 2008, it featured each of the 50 U.S. states on unique designs for the reverse of the quarter. 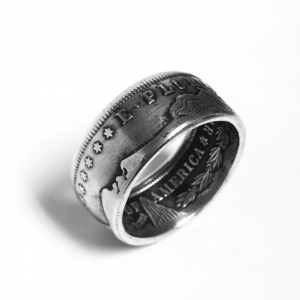 The 50 State Quarters Program was started to support a new generation of coin collectors and it became the most successful numismatic program in history, with roughly half of the U.S. population collecting the coins, either in a casual manner or as a serious pursuit. 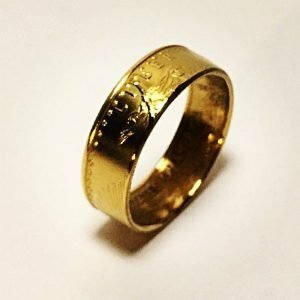 The U.S. federal government so far has made additional profits of $3.0 billion from collectors taking the coins out of circulation. The 50 state quarters were released by the United States Mint every ten weeks, or five each year. They were released in the same order that the states ratified the Constitution. 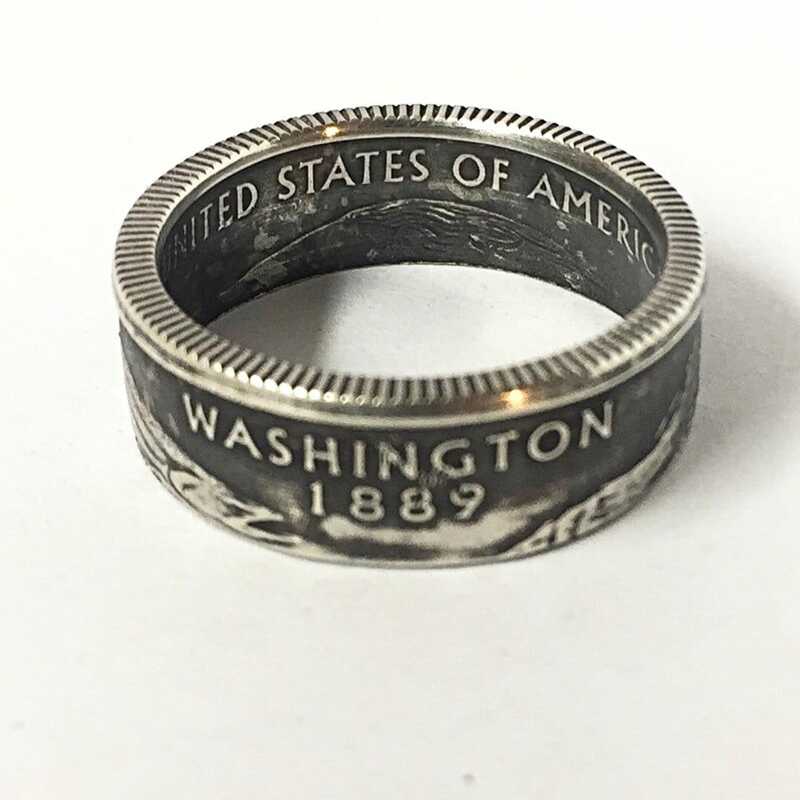 Each quarter’s reverse commemorated one of the 50 states with a design emblematic of its unique history, traditions and symbols. Certain design elements, such as state flags, images of living persons, and head-and-shoulder images of deceased persons were prohibited. 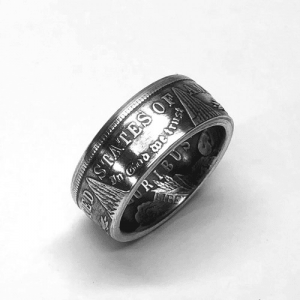 Statehood Coin Rings are a great ring for men, women, and children. 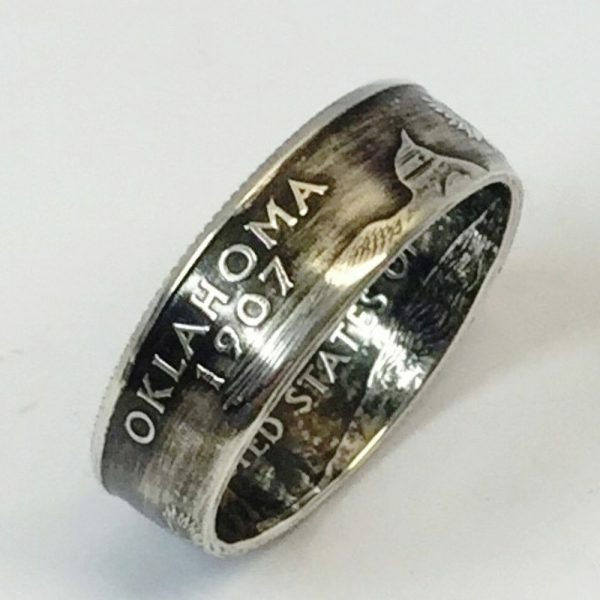 These make great gifts for any occasion and will never leave any discoloration on your finger as these are non-circulated 90% silver coins.